A tutoring and educational staffing company, conscientiously serving the Baltimore, MD and Washington, DC communities. 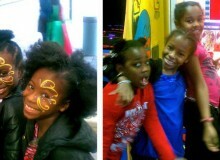 POPCCE – Power of Play and Cultural Creative Expression is the Steppingstones Summer Camp for 4 to 10 year olds. Click to learn more. 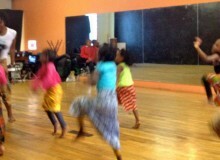 POPCCE — Power of Play and Cultural Creative Expression is the Steppingstones Summer Camp for 4 to 10 year olds. Click to learn more. POPCCE (pronounced POPS) - Power of Play and Cultural Creative Expression is the Steppingstones Summer Camp for 4 to 10 year olds. We provide one-on-one and group instruction in reading, writing and mathematics for young people ages 6-21 and academic levels K-12. Steppingstones Management Services also provides classroom support to students with special needs. Contact us to learn how we can help. Research shows that over the summer, there is a learning loss of critical skills. Thematic based academic offerings at POPCCE include reading, writing, and mathematics presented in a children-friendly manner to ensure retention and cultural as well as academic literacy at many different levels. Academic skills from the previous school year are reviewed; while new skills are introduced. Observation, critical thinking, writing, and oral presentation skills are focused on in each academic session. Teachers facilitate the learning process by encouraging campers to express what they know and are learning creatively. POPCCE will present “The Magic of Truth” at the end of camp – a play adapted from “The Black Fairy” by Useni Eugene Perkins. This adaptation received rave reviews when performed in the 80’s throughout New Jersey by 6 to 10 year olds. It has been updated for POPCCE Campers and promises to keep their interest while teaching the importance of self-esteem, self-confidence, self-discipline, and the power of learning about historical figures and events. Campers will learn to read a script and understand its parts; stage directions; the definitions of specific terms used in theater; presentation skills; and other skills associated with theater. Campers will experience West African dance and drum, hip hop dance, and Taratibu during the morning hours before academics during POPCCE. Each music and movement form includes lessons on their historical development and vocabulary associated with instruments and movements. Physical activity encourages the participants to learn about themselves, to move, and about the physical activity itself. Based on recent research, physical activity increases brain volume and activity, particularly in regions associated with memory and executive functions. It allows for visual spatial development, social interaction, specific skill development, and helps to maintain good health. Engagement in physical activities offers opportunities for social interaction that contribute to especially a child’s development. Games offer the same opportunities while enhancing skill development including the ability to listen and follow instructions, sharing, wait for their own turn, develop critical thinking and analysis skills, learn to strategize, and choose appropriate actions based on inference. In addition to playing games for fun, students will engage in the “round robyn” process where they are encouraged to support members of their team to represent them in a weekly competition. Games include Uno, Scrabble, checkers, Mancala, Sorry, Boggle, jacks, pick-up-sticks, and more! 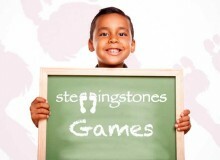 Steppingstones Educational Services (StepES), a division of Steppingstones Management Services, LLC, specializes in one-on-one and small group instruction. We emphasize high quality instruction in reading, writing, and mathematics for young people of all ages (6-21) and academic levels (K-12).